Like the original palette, the Celebration version features 14 matte shadows and a transforming shade. 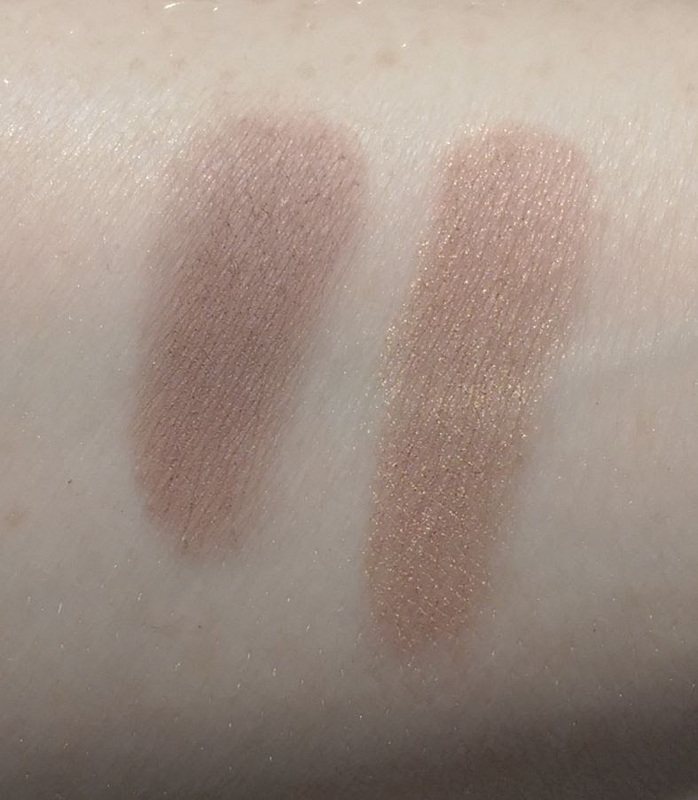 The matte shadows include: Snow Angel, a soft cream; Champagne, a pale peach; Cozy, a soft ginger; Warm Wishes, a pinky beige; Miracle, a soft mauve; Peace, a brown taupe; Wonderland, a smokey lavender; Hot Cocoa, a deep chocolate brown; Gingerbread, a mid-tone brown; Toasty, a cool mid-tone brown; Spice, a reddish brown; Sugar Plum, a dark purple; Starry Night, a deep navy; and Coal, a soft black. 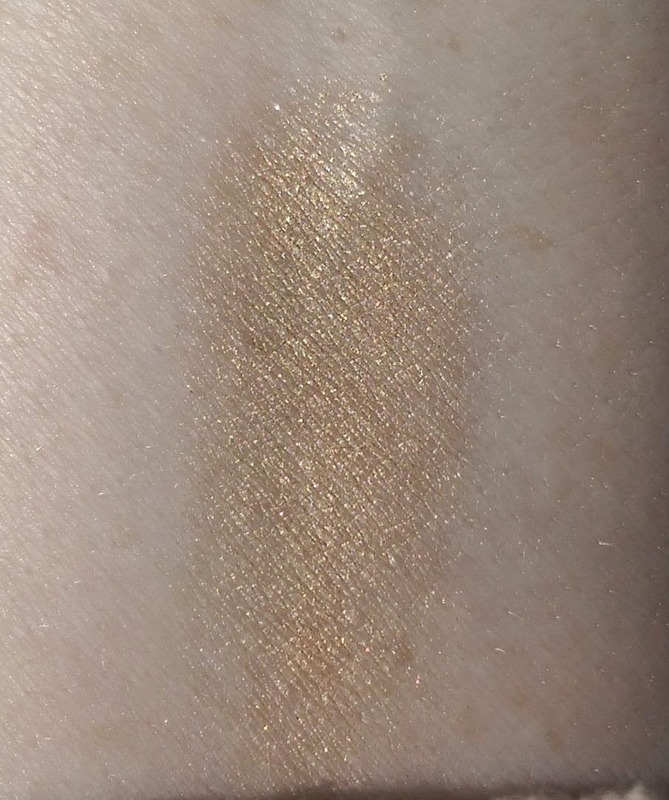 The transforming shade is a golden ombre radiance shade. The shadows in this palette are just as delicious as those in the original Naturally Pretty Palette -- they're richly pigmented, soft, creamy, and blend like a dream. There are also so pretty versatile shades in the palette that work well for a variety of looks -- basically, you can do anything from a barely there, no makeup look to a deep, dark smoky eye. All that said, I personally like the original better -- but that's just because I prefer the shades in that collection better. I feel like the Celebration palette leans a little warmer and I like the cooler tones in the original just a bit more. The transforming shade is also a very warm yellow gold color, and that's not a shade I really like to wear on my lids. 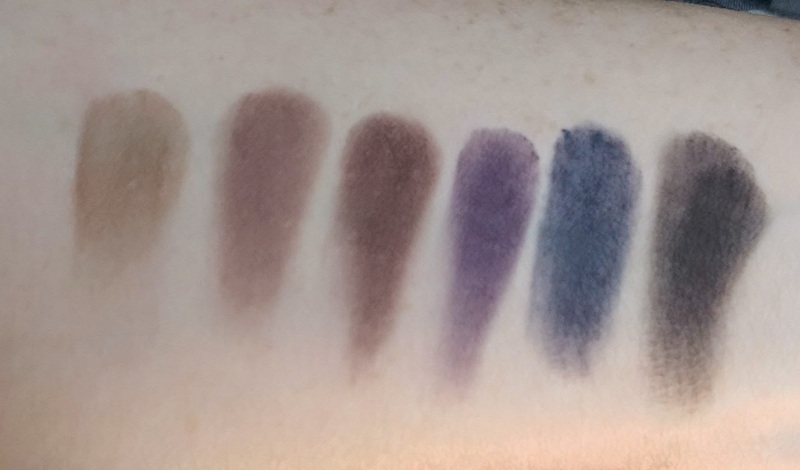 I also feel like it's deeper and more pigmented than the pearl shade in the original palette, so it definitely alters the matte shadows if you layer it over them. One thing I do like better about the Celebration palette is its packaging -- the original palette features a faux velour type fabric that attracts dirt and stain easily. The Celebration palette has a laminated finish -- and a cool sparkly design -- so it's easy to wipe clean. The rest of the packaging details are the same, including a small mirror on the inside of the palette. I have no qualms recommending this palette -- the shadows are beautiful -- but if you're torn between it and the original Naturally Pretty Palette, I would advise choosing the one with the shades that you prefer. Or get both like I did -- there's no shame in that. The palette is $42, and you can purchase it on the IT Cosmetics website and Ulta, It's also available from QVC with a brush for only $39.50 (plus $6.22 s/h). It's supposedly limited edition, though, so if you're interested, you may want to pick it up sooner rather than later. 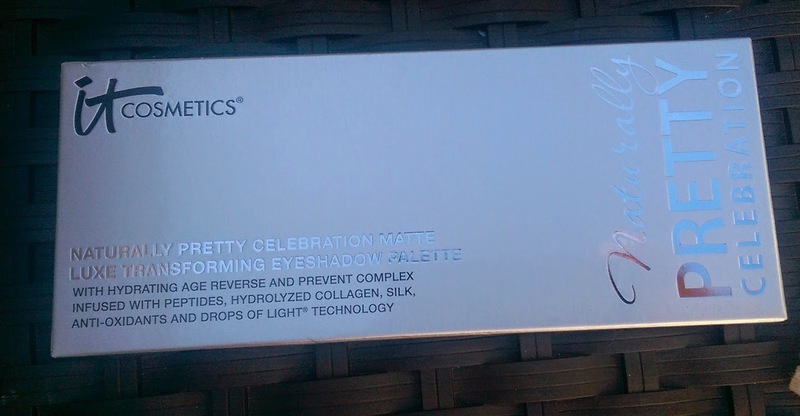 What do you think of the IT Cosmetics Naturally Pretty Celebration Matte Luxe Transforming Eyeshadow Palette? What is your favorite matte eyeshadow palette?